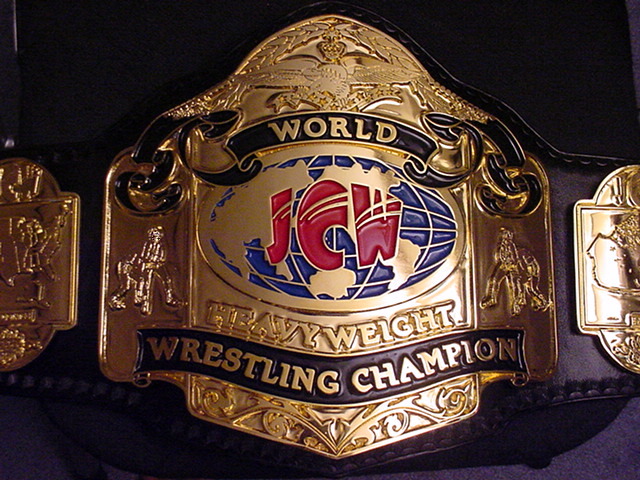 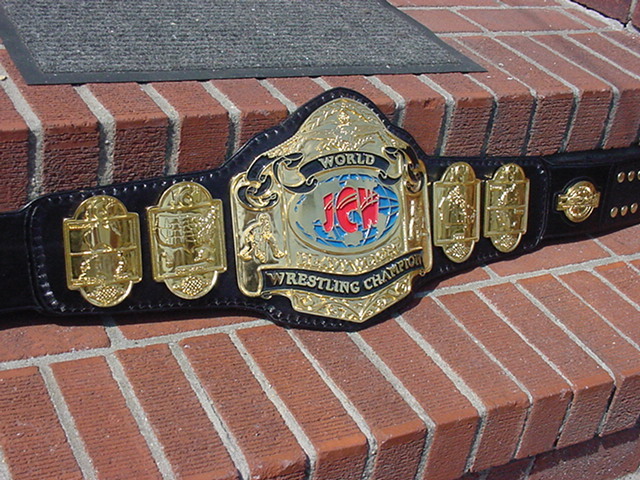 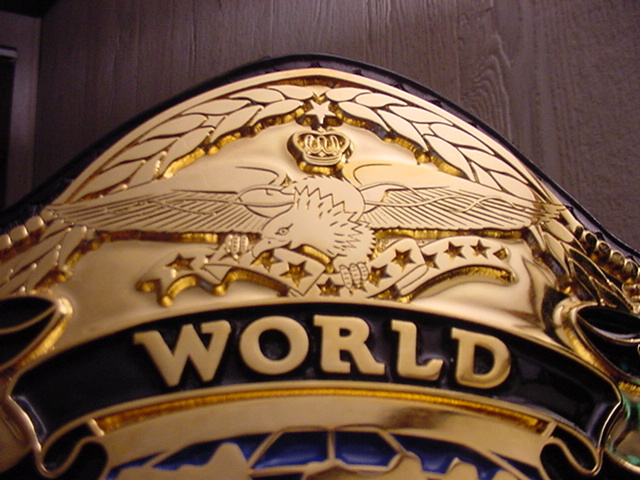 Here are pictures of my Custom World title. 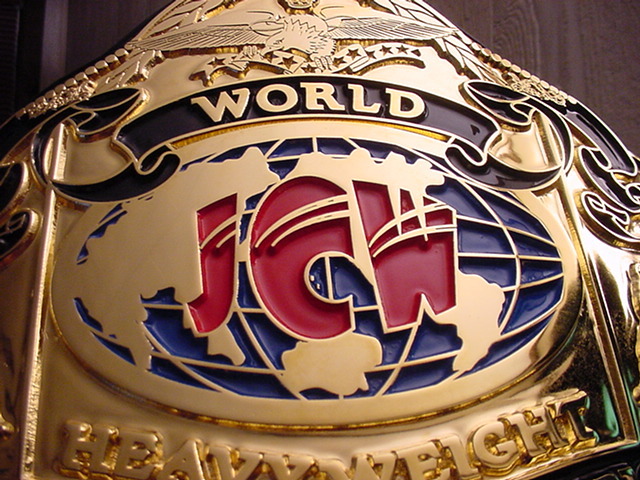 I choose to put the letters JCW as the first two are my initials and the third well just looks good with it. 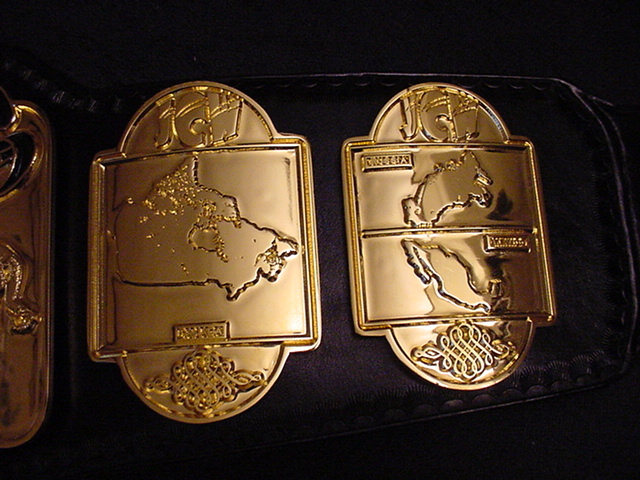 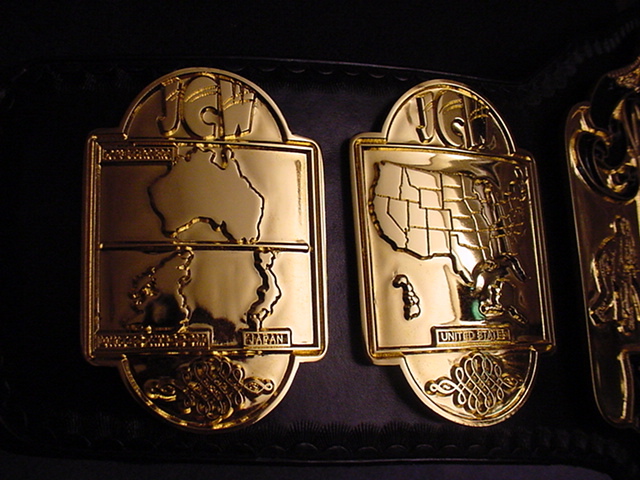 It's a 5 plater based on the design of the old NWA World Tag Team titles. 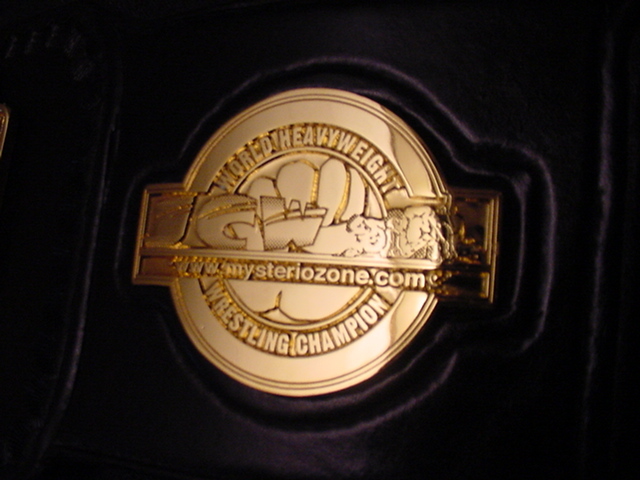 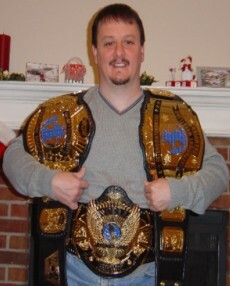 This belt also sports my custom logo plate which contains my karate schools patch and my website address.